Trying to login via Google but it's not working? Delete your cookies (not just cache) and see if that resolves the issue. 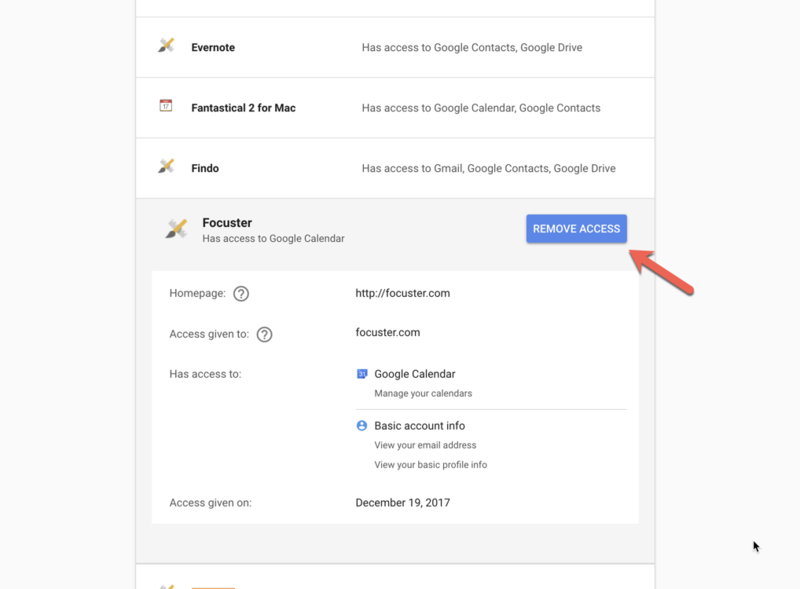 If not resolved, reset application permissions for Focuster via the Google. Find "Focuster" in the list of applications. Click "Remove Access"
Let us know if either of those steps works for you.